Come for the wine, stay for the experience. 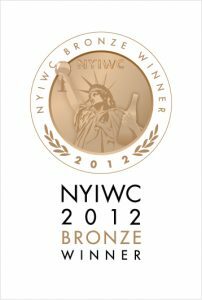 Honora Wines have been continually recognized in Wine Competitions over the years. Refreshing scents of mineral, lemon zest and starfruit. This sweet white wine has a citrusy entrance with a peach and floral finish. Aromas of light pear, crisp apple and a floral bouquet. Flavor has a mineral character and a sweetness on the entry, with a finish of citrus and melon. Aromas of light toast with a vanilla and caramel complexity. Flavors include a heavy rich floral (honeysuckle and gardenia) finish. The buttery character grows as you sample. We took a small amount of our 2014 Chardonnay and aged it for an additional 12 months in a 60 gallon french oak barrel that had our Syrah in it. It has an apricot and light jammy aroma with a peppery red wine like finish. Only 24 cases were produced. Aromas of light clove and bing cherry. Flavors of spice ending with a light smoke and mild fruit complexity. Light to medium bodied with full palate tannins. Initial smoke character followed up with a raspberry jam aroma. Flavors of dark cherry, black berry and spice. This a full bodied red wine. Chocolate and sweet plum aromas with a spicy floral complexity. Medium to full bodied with plum and oak character with a light peppery finish. Moderate oak aroma followed immediately by black currant and cherry. This full bodied red is full palate with flavors of earthiness and dark fruit jammy characters.